"Never Ending Energy" was the theme for this year's Motor Show. We became more aware of intelligent technologies that save earth's energy. A good vehicle should be designed to respond to energy saving policy. A seminar on this topic, to raise awareness to the people around the world, was on the Motor Show's schedule for the first time. 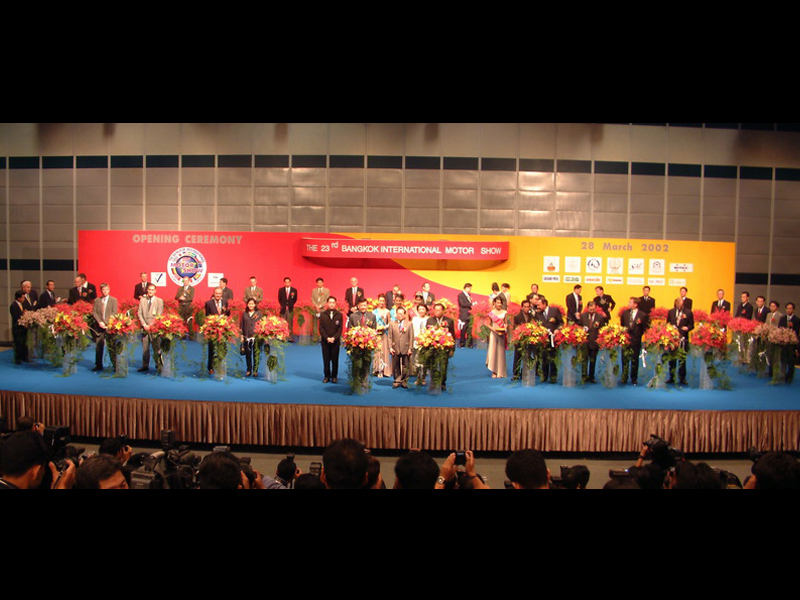 This year, the organizers must open one more exhibition Hall to meet the demand of car makers. Motorcycles and car accessories companies reserved many spaces with over 150 companies wanted to have their own booths here! This year's Motor Show seemed to be massively successful since the very first public day as the crowd poured into the hall to behold the latest concept cars. 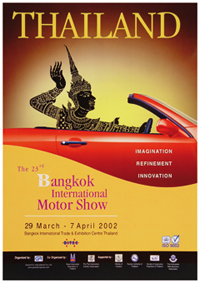 These cars were premiered at the Frankfurt motor show and Tokyo motor show, prior to the Bangkok event. The concept cars mentioned include a sport SUV from Honda "Honda Bulldog", the overall look was inspired by the Bull dog of course!, Isuzu KAI, the concept 4WD with diesel engine premiering for the first time in Thailand. Other cars from big names also lined up this year such as Nissan Z, Jaguar Racing, MP4-17 from West McLaren Mercedes. Mazda did not disappoint the crowd with their first winning car in Japan history from the 24h Le Mans.